The year 2071 A.D. That future is now. Driven out of their terrestrial eden, humanity chose the stars as the final frontier. With the section-by-section collapse of the former nations a mixed jumble of races and peoples came. They spread to the stars, taking with them the now confused concepts of freedom, violence, illegality and love, where new rules and a new generation of outlaws came into being. People referred to them as Cowboy Bebops? Meet Spike and Jet, a drifter and a retired cyborg cop who have started a bounty hunting operation. 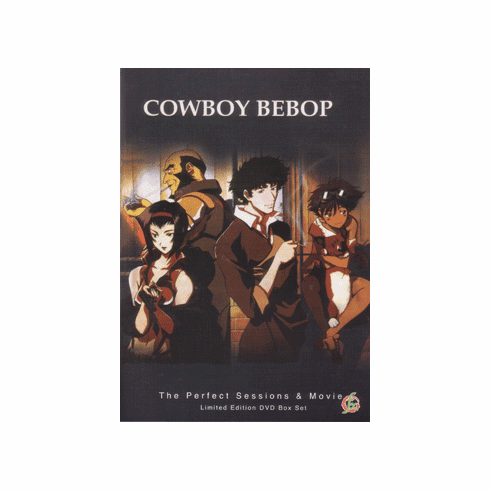 In the converted ship The Bebop, Spike and Jet search the galaxy for criminals with bounties on their heads. They meet a lot of unusual characters, including the unusually intelligent dog, Ein, and the voluptuous and vexing femme fatale, Faye Valentine. Perfect English Subtitles and the same voice actors as seen on the cartoon network. A Must Have!